I first went to Vietnam a few years ago, and although we went from South to North, we went by plane in between each destination. This was great, but I always wondered what was in between. What we could have seen if we took the train. 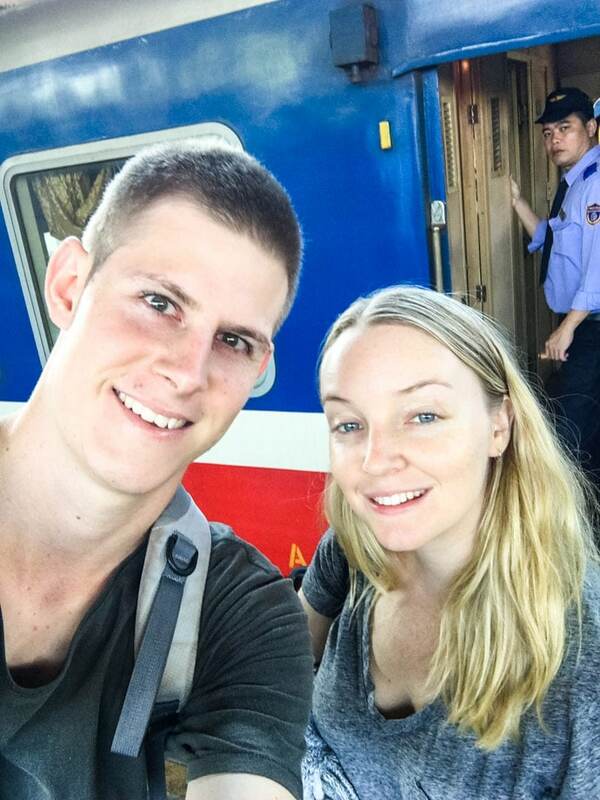 Since then we’ve spent another 6 months in Vietnam and have had so many experiences travelling Vietnam by train. 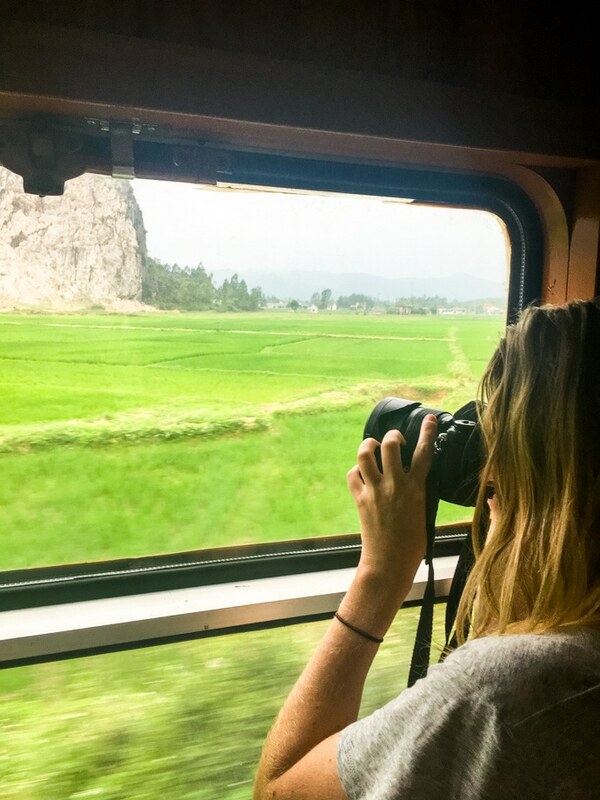 So if you’re planning a trip to Vietnam and trying to choose between plane or train, here’s how I found travelling Vietnam by train to help you decide. Flying is a popular choice by travellers to get between destinations within Vietnam. When we went by plane, we went from Ho Chi Minh City to Danang, Danang to Hanoi. We only had 2 weeks in Vietnam so flying was the obvious choice to save time. 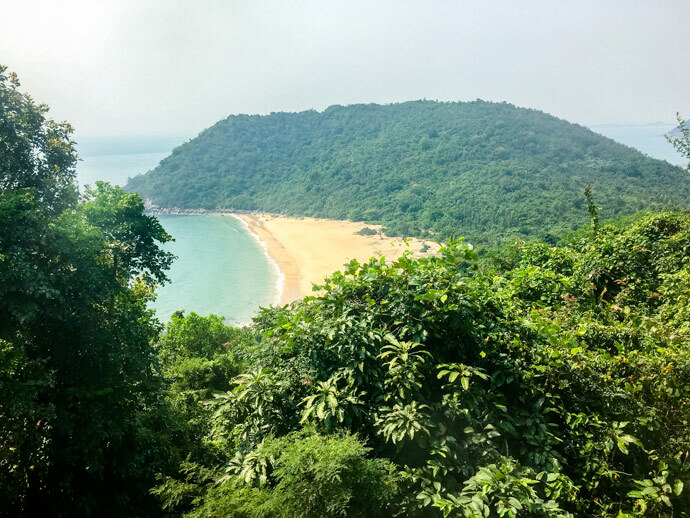 It worked out pretty well, the only thing I will say is for this country, we found Vietnam Airlines to be the best choice, and we had a dubious experience with Jetstar Asia (keep in mind this was based on one-off personal experiences). Bus is a popular option amongst budget travellers. The only bus experiences I’ve had in Vietnam were going from Phnom Penh Cambodia to Ho Chi Minh City and taking a mini bus from Hanoi to Halong Bay. The trip from Phnom Penh Cambodia to Ho Chi Minh City was great, a little boring, flat roads and it did the job. 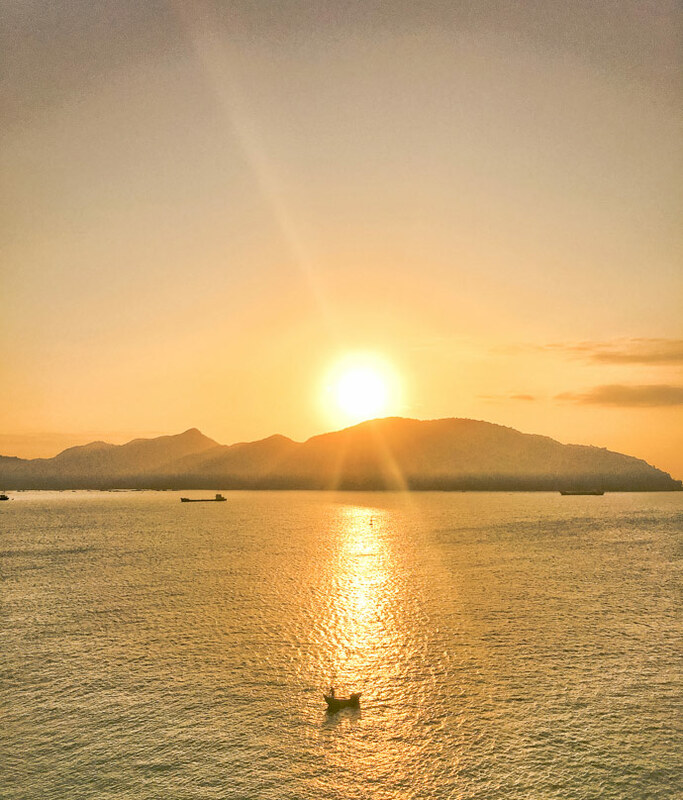 Getting to Halong Bay was another story. So stressful, the driving was crazy, roads were hectic, and that 4 hour journey was not a pleasant one. Although I haven’t taken bus trips elsewhere in Vietnam, there is a reason for that. I’ve heard so many bad reviews about bus trips in Vietnam, sometimes it’s the driver, sometimes its the roads, sometimes it’s a combination of both. Either way, taking a bus trip in Vietnam is not something I would recommend as a first choice. 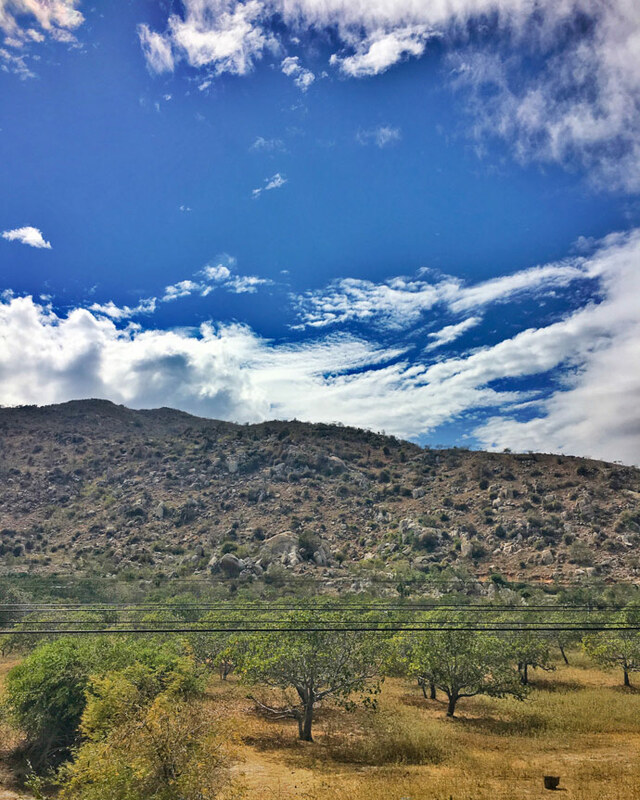 Train on the other hand, allows you to see more of the countryside, you may or may not have comfortable seats, but we found it to be a great experience. 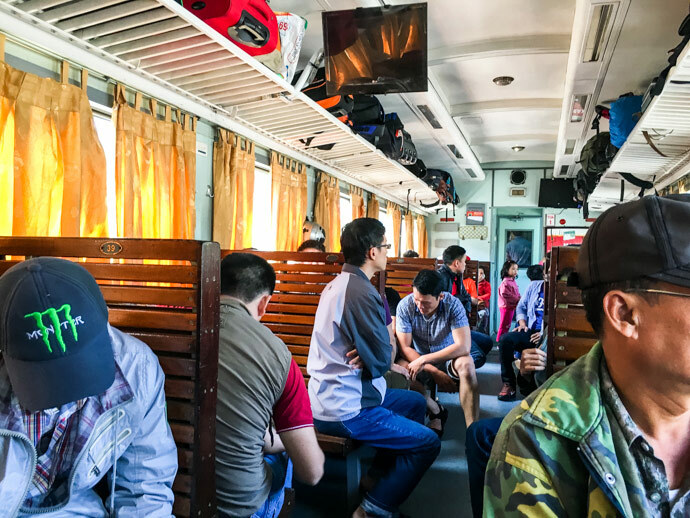 First we did a daytime train trip from Ho Chi Minh City to Nha Trang, in soft seats that were really comfortable and the train was nice. This journey was really pleasant. Search for tickets from Ho Chi Minh City to Nha Trang here. 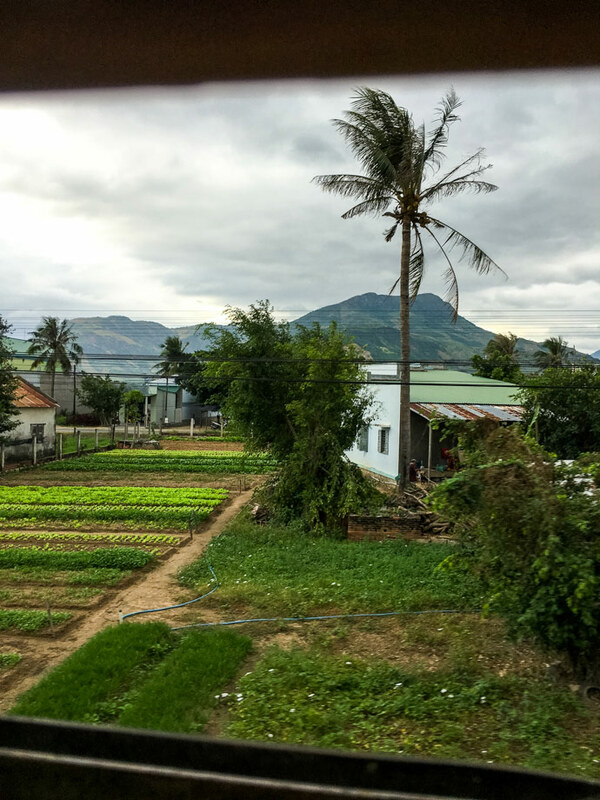 Then we did an early morning train trip from Nha Trang to Danang. Unfortunately we couldn’t book soft seats so we had to go hard seats which was pretty crowded, you sit on a bench like wooden seat that can get a little uncomfortable. We got on when it was still dark, and at this stage there were people sleeping on the ground on cardboard. But we had the most beautiful sunrise over the water and some islands, I will never forget it. 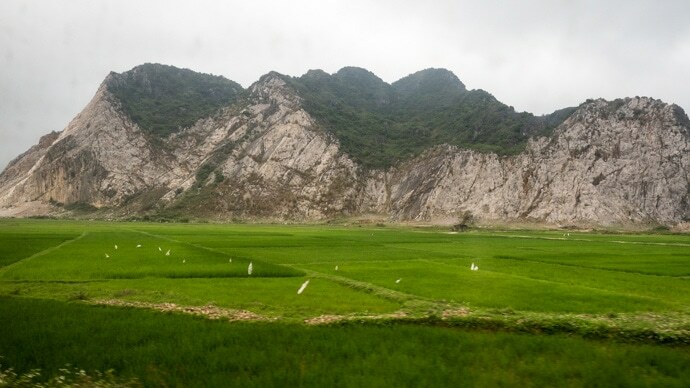 The first few hours of the train journey had some of the best scenery I saw in Vietnam. Although it was a little less comfortable, it was do-able, but if you can, I’d try and book soft seats, and book in advance so you can guarantee you get them. Search for tickets from Nha Trang to Da Nang here. Our next train was from Da Nang to Hue. We had soft seats on this train but the train and carriages were much older, so it wasn’t as pleasant as our first soft seat experience. Again, still very doable just don’t expect anything fancy. This part of the journey also had some stunning scenery, following a similar route the Hai Van Pass. Search for tickets from Da Nang to Hue here. 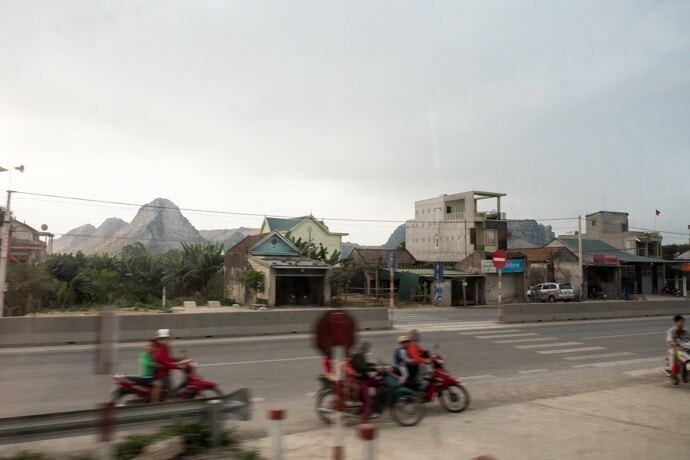 From Hue to Ninh Binh we took an overnight train in a 4 soft beds cabin. When we first got on, it was obvious someone had just got out of our bed at this stop, so the blanket, sheets and pillow had been used. I was expecting clean sheets, pillows etc, but luckily one of the people sharing our cabin asked the guards for new sheet/pillow/blanket, so we followed suit and within 15 minutes had all fresh linen. I didn’t get that much sleep as the train still makes stops throughout the night, can be quite jerky and loud, but it was comfortable. By the time we woke up we had the cabin to ourselves which was nice to sit up and see the scenery. 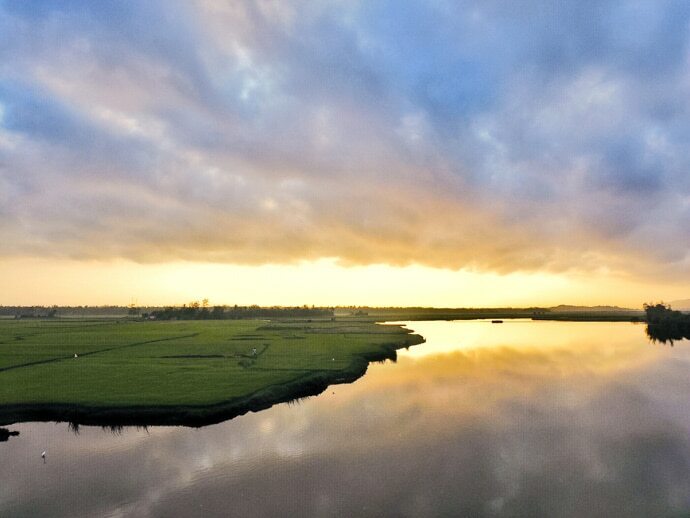 Search for tickets from Hue to Ninh Binh here. Ninh Binh to Hanoi wasn’t a long train so we got soft seats and this was comfortable enough. It’s interesting to come into Hanoi and see all the buildings so close to the train line. Search for tickets from Ninh Binh to Hanoi here. 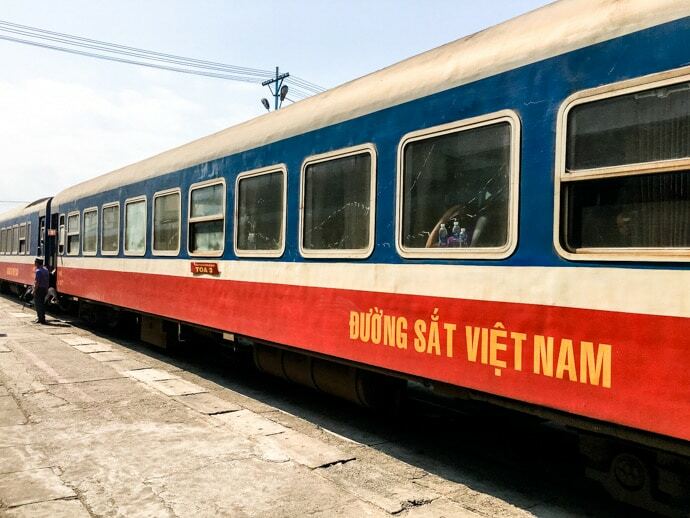 Since these train trips we have also been back to Vietnam and been on the overnight train from Da Nang To Hanoi, this time on a ‘SE4’ train which is a little quicker and has less stops. This train we were in 4 soft bed cabin and it was comfortable enough, and has some great scenery. Search for tickets from Da Nang to Hanoi here. We did an overnight train from Hanoi to Nanning. Fortunately we had our 4 bed cabin to ourselves, which makes a difference. 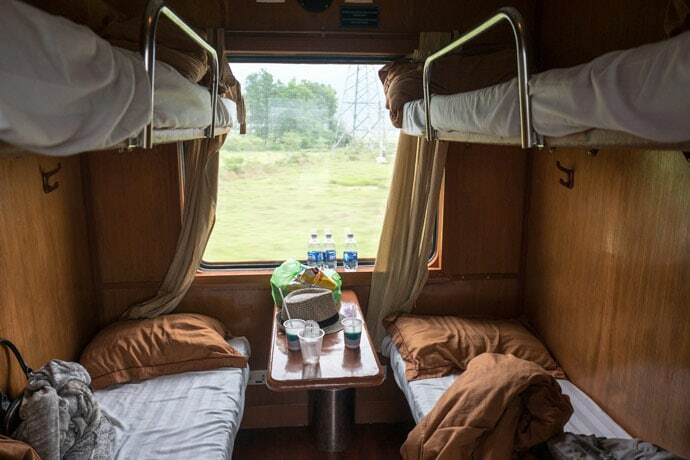 This was probably the best overnight train experience, except for having to make stops in the middle of the night, get out of the train and get passports stamped etc, which happens twice if you do this journey. Would I Recommend Travelling Vietnam By Train? 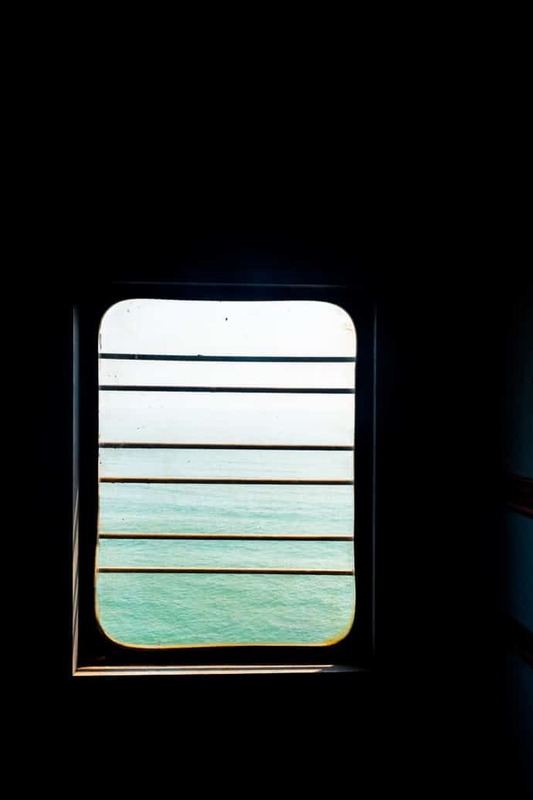 We had a mixed bag of experiences on every train. Some were much better then others, but this also depends on what type of train you get too. 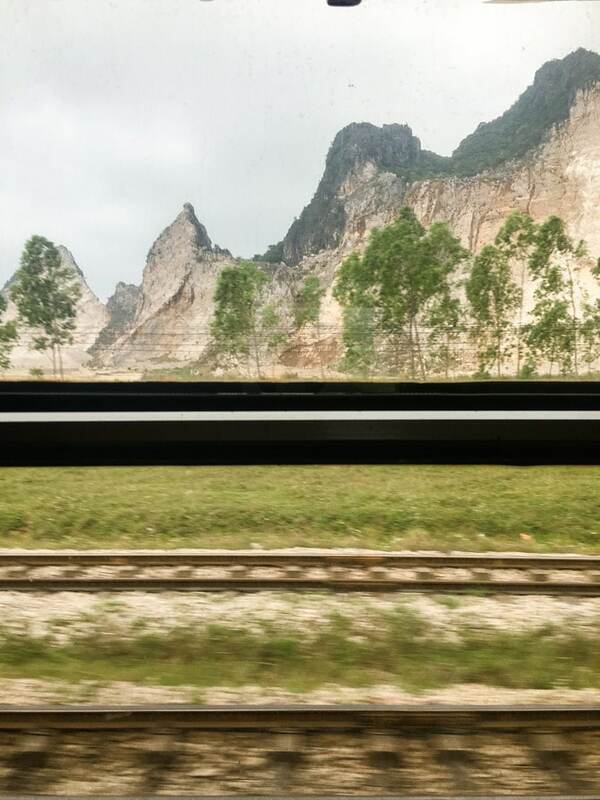 Overall, even our worst train experiences in Vietnam still had interesting scenery and were a good experience. 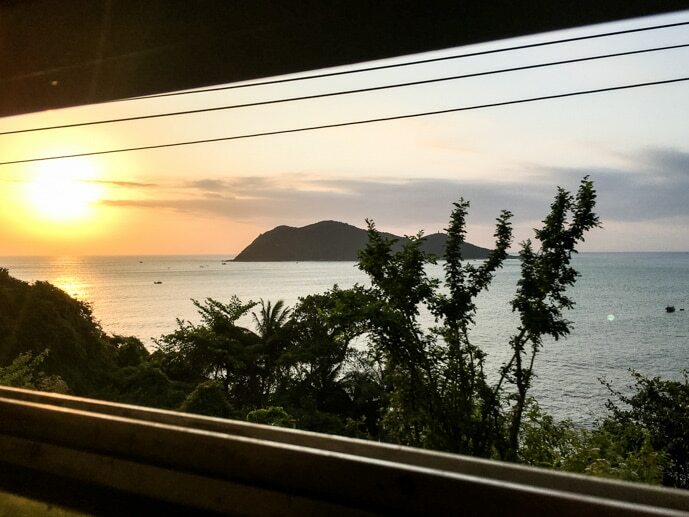 If you decide to travel Vietnam by train, make sure to book your tickets early and try and get on trains SE1-4 as these seem to be the best. Soft seats or soft beds depending how long your train is are the best. In terms of food, on most trains a trolley will come past at intervals with coffee and snacks available. On the overnight train at dinner, a cart will come past with a hot meal, however we opted to bring our own food. There is generally a hot water drinking tap on the carriage if you wan to bring noodles etc. How To Book Your Vietnam Train Tickets? We booked all of our Vietnam train tickets online via the website Baolau. 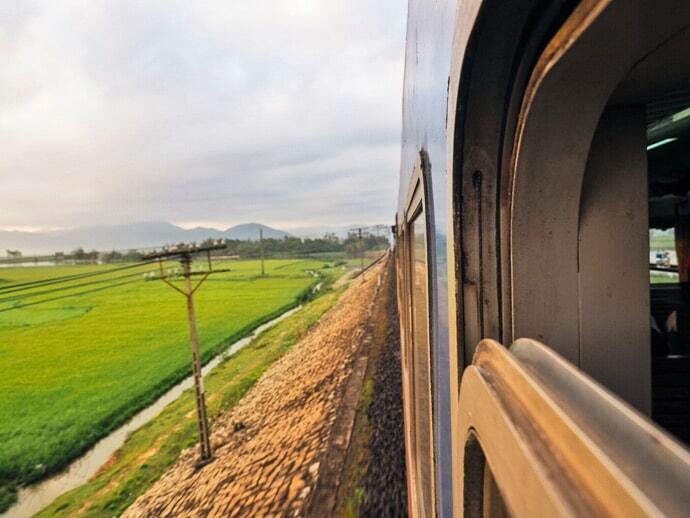 We found this process to be the most convenient way to travel Vietnam by train. It meant we could book in advance rather than waiting until we got to Vietnam to try and buy tickets at the train station. This also meant we could guarantee the days and seats we were travelling on. Book your tickets in advance as trains do fill up. The further in advance you book the better chance you have of being on a nicer train and the day and time you want. 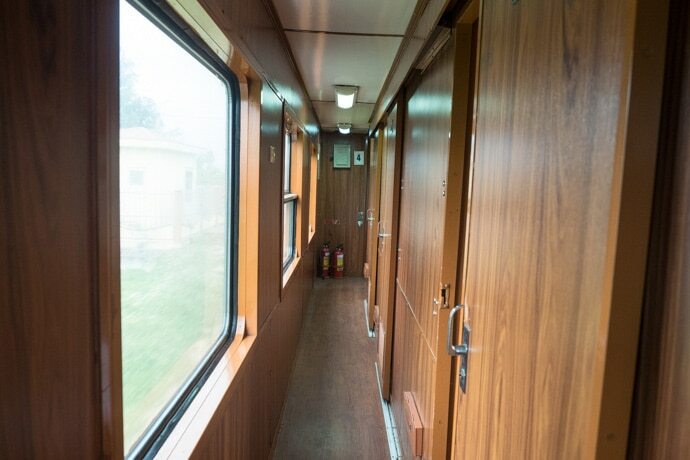 If you don’t want to climb up to the top bunks, then make sure to select bottom beds as your preference when booking. 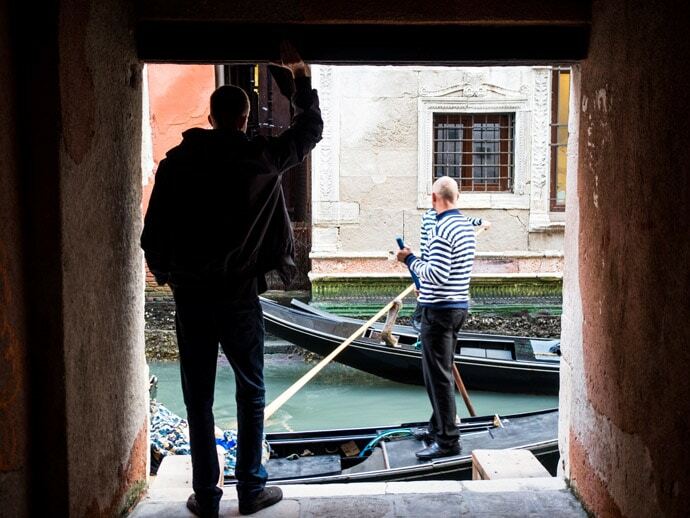 If you’ve done train travel in Europe, don’t expect it to be the same or as nice, the truth is, it’s a little more basic. But overall travelling Vietnam by train was an unforgettable experience and I got to see so much more of the country by doing so. Hi, I am heading to Vietnam on Oct.
Would like to ask is the soft bed at SE20 ok? 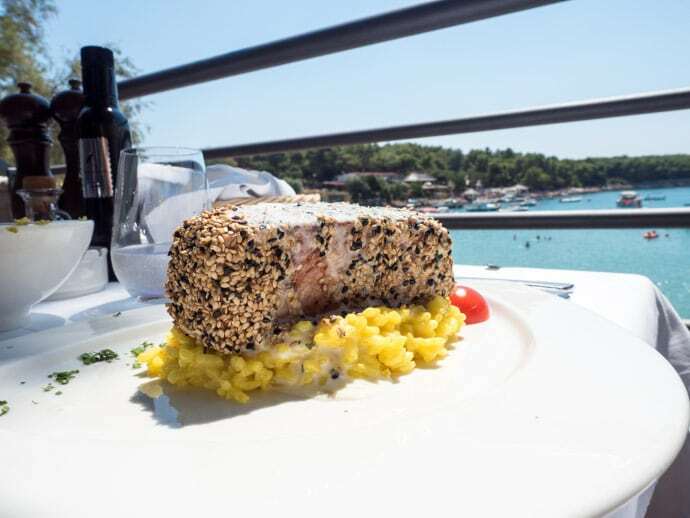 izit very bad or ok? As I prefer SE20 schedule which is from 7pm and reach Ninh Binh at 10am.